Isolation is not only bad for our health, it’s also disempowering—especially for women. I work with women leaders from all continents, and without exception, I’ve found that to step into their full power, they need the support of other women. Without sisterhood, we can’t really know who we are. Today, women are rising up everywhere and speaking out, both on their own behalf and on behalf of future generations. This is a development we should all celebrate and support, for when women thrive, everyone benefits. Yet the sad truth is that many women don’t have a voice. For over three decades, I’ve been leading circle gatherings for women from around the world—India and Afghanistan, Israel and Palestine, Germany and Norway, Australia and Kenya. These women are immensely courageous, wise and dedicated. Yet often, they lack confidence in their own value and in the value of their contribution. After practicing in the circle, I gradually became able to speak that way outside of the circle, too. Instead of expecting others to lose interest, I learned to wait until I had something to say, and then say it with the conviction that it had value. This is huge for me because it’s allowed me to claim my voice in the world… I’m not afraid of showing up. Leading circles for women from every corner of the planet has taught me that women have a natural, intuitive knowledge of how to empower each other. Patriarchy often warps their desire to do so by teaching them to view other women as competitors, be it for sexual attention or for career success. But intuitively, most women embrace the joy of celebrating together, supporting one another and helping each other blossom and flourish. We understand that we’re ultimately one. Another’s healing helps us heal, another’s success helps us succeed. Every time a woman finds her voice in the circle, I rejoice, not only for her sake, but for all of us. We need to speak out on behalf of the earth and of future generations. But for this to happen, we need support. We’re amazed by the courage of a girl like Malala Yousafzai from Pakistan, who stood up to the Taliban and refused to be silenced. Today, millions of potential Malalas have yet to receive the support that allowed Malala to become a powerful voice for women’s rights. With the support of skillfully facilitated circles, millions of women can reclaim their voice and their power. Our world would be a better place for it. 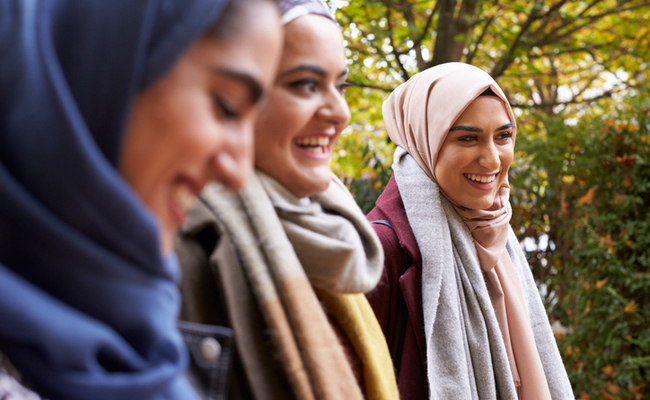 Use this simple practice to strengthen your sense of connection to your sisters around the world. 1. Make a list. Sit down with paper and pen and think about the women in your life who have supported you and who love you. It doesn’t matter whether they’re alive or dead, present or absent. You can also include spiritual “sisters,” such as Mother Mary. 2. Gather symbolic objects. Once your list is complete, gather some small objects and set them up in a circle. For simplicity’s sake, I’ll call them stones, but they could be shells, crystals, beads, acorns or anything that strikes your fancy. Your objects can all be the same, or can be as unique as the women they represent. If there are 10 women on your list, select eleven stones. The extra stone will represent all the women around the world whom you have never met, but who are nonetheless your sisters. 3. Create your circle. Find a place where your circle can sit undisturbed—a table, a dresser or an improvised altar. Have fun arranging your circle in any way that pleases you. If you like, add flowers, candles or other objects. Once you’ve arranged your circle, take a moment to sit quietly with it and remember the sisters it represents. Doing so will warm your heart and give you a shot of courage when you need it most. Know that you’re not alone. Every step you take towards healing benefits your sisters, too. Send them a blessing, and feel them blessing you in return. JALAJA BONHEIM, Ph.D. is an internationally acclaimed speaker, an award winning author and one of the world’s foremost experts in the use of circle gatherings as a tool for healing and empowering women. She is founder of the Institute for Circlework and has trained hundreds of Circlework leaders from around the world, including the Middle East, where her circles unite Jewish and Palestinian women. Her new book, The Magic of Circlework: The Practice Women from Around the World Are Using to Heal and Empower Themselves, reveals the concepts and tools that make Circlework such a magical experience. Learn more at www.magicofcirclework.com and www.jalajabonheim.com. JALAJA BONHEIM, Ph.D. is an internationally acclaimed speaker and award winning author, and one of the world’s foremost experts in the use of circle gatherings as a tool for healing and empowering women. She is founder of the Institute for Circlework and has led circles for over three decades, as well as trained hundreds of Circlework leaders from around the world. Her new book, The Magic of Circlework: The Practice Women from Around the World Are Using to Heal and Empower Themselves, reveals the concepts and tools that make Circlework such a magical experience. Learn more at www.jalajabonheim.com.